The best known icon of early Christianity in Ireland, and one of the best representations from medieval Ireland, is the Celtic cross. Early Celtic crosses were often found at churchyards and are self-contained monuments that were generally sculptured form sandstone, some standing as tall as twenty feet. Many Celtic crosses, such as the Cross of Scriptures at Clonmacnoise and the 16th century Celtic Cross at Monasterboice, featured ornate figure carving, but the chief characteristic feature is the circle connecting the arms. 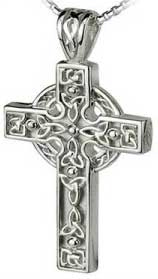 Today, you will find that Celtic wall crosses are very popular for the home and many who honor their Irish heritage wear a Celtic cross necklace. Ireland, was captured by pirates and the crew taken as slaves. One of the crew-members, Richard Joyce, was to have been married the same week he was captured. His bride-to-be was inconsolable. Years went by and Richard became a master of his trade as a gold-smith. His skillful hands shaped a unique ring for the girl he could never forget. The design of the Claddagh ring was born of their love. At the center a heart, symbolizing their love, on top a crown, symbolizing their loyalty, and two hands holding the heart, symbolizing the caring friendship they shared. After eight years, Richard escaped and returned to his native village of Claddagh. He found, to his great joy, that the girl he could not forget had not forgotten him and she had never married. He gave to her the special ring he had crafted. They married soon afterwards, never to be separated again. Claddagh rings along with Claddagh wedding bands are very popular as wedding rings; although, they are also often given and worn as a symbol of friendship. In ancient times the shamrock was highly revered by the Druids of processing mystical powers. The three leaves were considered a natural sign of the sacred number three. Many believed wearing the shamrock would give them luck and keep harm away.. 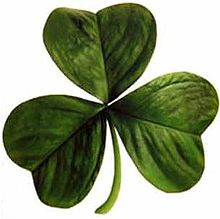 The legend of St. Patrick states that Patrick plucked a shamrock from the ground to explain the belief in the Holy Trinity. With the explanation of the Father, the Son and the Holy Spirit all combined as one, Patrick was able to convert the Irish to Christianity. As the shamrock blankets the ground of Ireland it has become the most notable symbol of the Emerald Island. From shamrock wall hangings to shamrock jewelry, this Irish symbol is displayed as a sense of pride. Saints. Thousands of Irish woman are named Brigid in her honor. St. Brigid’s feast day, February 1, corresponds with Imbolc, the Celtic feast of purification and renewal. The most enduring image of St. Brigid is the St. Brigid’s Cross. In her endeavor to explain the Passion of Christ to her father, a dying pagan, she wove a cross from the straw-like rushes strewn on the floor. 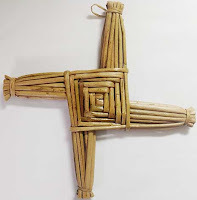 In those early Christian times the farmers adopted the custom of making these same crosses at the beginning of spring to protect their holdings, placing the handmade St. Brigid's cross in prominent positions in their houses and barns. The tradition of making the crosses on St. Brigid's Day, February 1st, continues to the present day in Ireland and abroad. 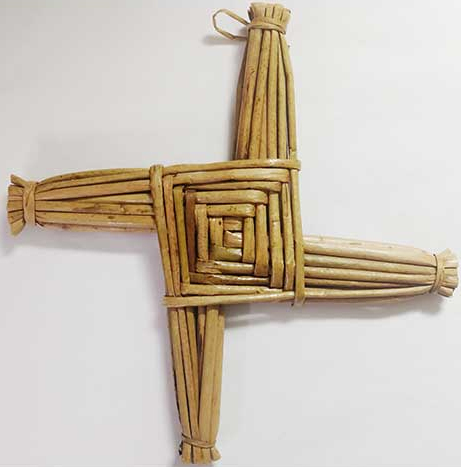 The St. Brigid’s Cross is believed to protect homes from want and evil. You will also find that St. Brigid's cross necklaces, along with St. Brigid's cross charms, are popular Christian symbols that are worn as jewelry. 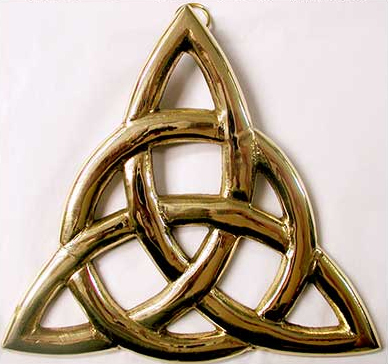 Celtic knot-work embodies a richness and pureness of ancient Celtic times. It dates back as far as the 5th century and was used extensively by the medieval monks to illuminate the world famous Book of Kells manuscripts. The interlaced unbroken lines symbolize man's spiritual growth, external life, and never ending love - having no beginning and no end. Each twist and turn has its individual magical and mystic qualities. 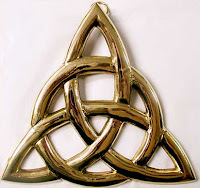 In addition to illustrations you will find these intricate designs are fashionable as Celtic jewelry along with tattoos. 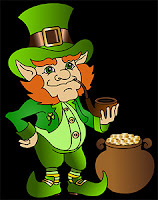 Leprechauns are a type of fairy that are derived from the Tuatha Dé Danann, a supernatural race in Irish mythology. They are mischievous little men who are often depicted with red beards while wearing a coat and hat. Cobblers by trade, Leprechauns spend most of their time making and mending shoes. These solitary fairies are known through legend to have a pot of gold hidden at the end of the rainbow. A leprechaun will often grant three wishes in exchange for his freedom should he be caught by a human. The Irish have a blessing or toast for every occasion and every celebration including those that hall mark the milestones in life. From greetings to marriage and even death, a well-expressed verse in the form of a proverb or an anecdotal saying is sure to be had. 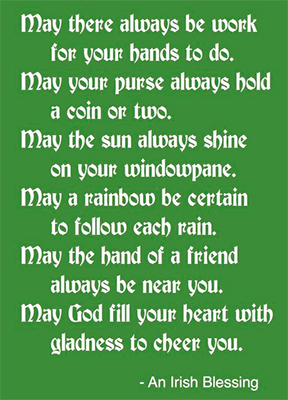 These Irish blessings often employ a bit of Irish laughter or the sentiment of days gone by, but they are almost certain to bring a smile to your face. Even when addressing their adversaries the Irish put their signature touch on the subject so that even in a curse there is a blessing for someone. This artful use of the tongue is often referred to as Irish diplomacy. 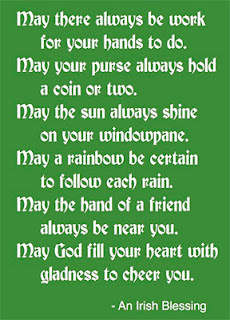 Irish blessings are passed down from one generation to the next, memorized and presented in verbal fashion; however there is no shortage of Irish blessing gifts, including Irish blessing plaques, that feature these eloquent proverbs. May God hold you in the hallow of His hand. In the Gaelic language the Tree of Life is known as Crann Bethadh. 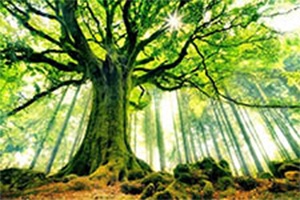 The ancient Celts believed that trees are the foundation of life and held mystical powers which represented balance and harmony in all worlds, connecting heaven, earth and the underworld. The tree branches reach in search of learning and knowledge. You may express your own ancient Celtic heritage with a Tree of Life gift or by wearing Tree of Life jewelry. St. James’ Gate in Dublin, Ireland, became the home of Guinness in 1759 when Arthur Guinness signed a 9,000 year lease for £45 per year. By 1838 St. James’ Gate became the largest brewery in Ireland and by 1914 the Dublin brewery was the largest in the world. 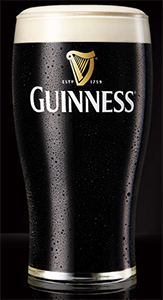 To this day Guinness remains the largest brewer of stout in the world. The black porter is omnipresent in Irish culture and it is universally related to Ireland. Every pub, Irish or not, that is worth its salt serves Guinness. Those who imbibe in this dark brew have given the brand a loyal following and often wear or display Guinness merchandise. This collection of Irish symbols is far from complete, but it includes many of the favorites of The Irish Gift House.